In order to get you in and out within 45 minutes, we’ll need to replace the glass, LCD and Touch Sensors as all three elements are fused together in Sony Xperia Z5 Compact, but it’s a standard procedure. Depending on the extent of the damage and what quality parts you would prefer, the prices can vary. If you would like us to repair your Sony Xperia Z5 Compact, fill out the form below, book online, call us on 1300 046 363 or pop into our Sunshine Coast store today! In order to get you in and out within 45 minutes, we’ll need to replace the glass, LCD and Touch Sensors as all three elements are fused together in Sony Xperia Z5 Compact, but it’s a standard procedure. Depending on the extent of the damage and what quality parts you would prefer, the prices can vary. If you would like us to repair your Sony Xperia Z5 Compact screen, fill out the form below, book online, call us on 1300 046 363 or pop into our Sunshine Coast store today! *crashing sounds* *crying sounds* *repairing sounds* Ah yes, a tale of tragedy turned redemption in 3 parts. 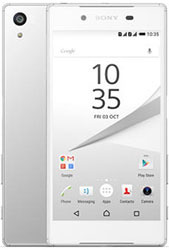 Dramatics aside, if your Sony Xperia Z5 Compact screen breaks, iMend can sort you right out. We will repair your screen within an hour using genuine Sony parts that come with a 12-month iMend guarantee so your screen will be as good as new. Simply give us a call on 1300 046 363, request a quote online, or even bring your Sony Xperia Z5 Compact right into the store so we can get it fixed today.